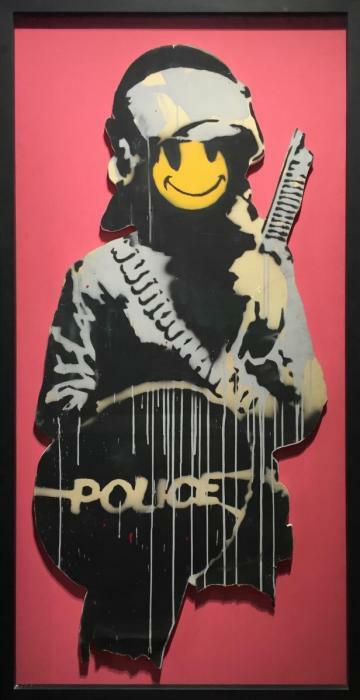 Banksy’s identity remains unknown, even after being involved in the graffiti scene for over twenty years. It is commonly believed he was born as either Robert Banks or Robin Cunningham in Bristol, Southern England, around 1974. Banksy began as a graffiti artist in the early 1990s, in Bristol's graffiti gang DryBreadZ Crew. Although his early work was largely freehand, Banksy used stenci . . .